Neither one. Big calibers in small guns are a bad mix. They all mean hellish recoil, painfully short practice sessions, and in a moment of truth, your second and third shots are too long in coming. 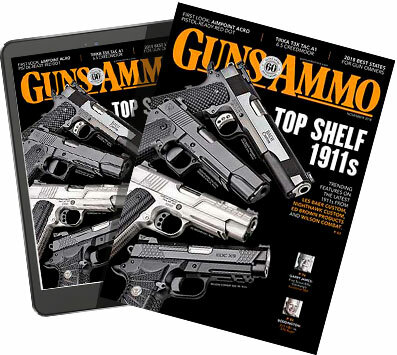 A small gun properly chambered in a smaller caliber is much easier (faster!) to shoot effectively. 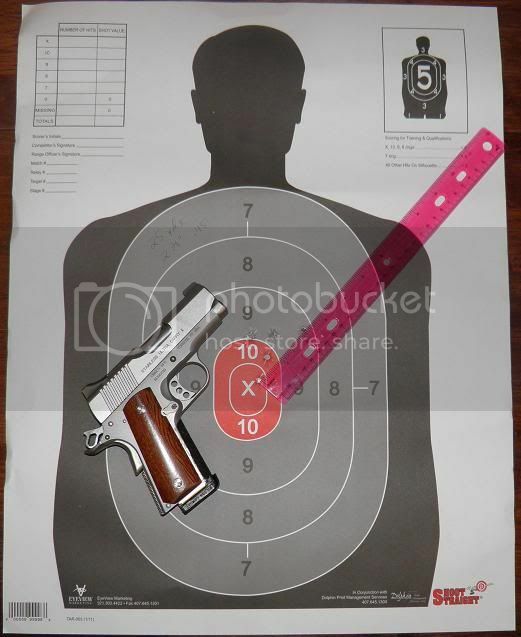 This is from my last session with my XD Mod 2.0 3.3" in .45ACP. Five shots, left hand only @ 7yds. Same day, 10 shots, two-hand grip @ 7yds. Granted, these were done under range conditions, and I'm probably a novice at best, but your comment holds no merit against my experience. This from a guy who thinks 5 shots at 5 yds in 5 seconds is a drill. Horsesheeite. Depends on the gun. My wife stole my Kimber Ultracarry (.45 acp), so I can't say I have one anymore, but I CAN say it shoots GREAT. Not only is the recoil not difficult, but follow-up shots are fast, easy, and accurate. Please note that my wife (all 120 lbs of her) LOVES this gun, and is absolutely deadly with it. Having said that, I can attest that full house .357 mag loads are no fun in most of the ultralight 5 shot revolvers weighing in at under 20 oz's. Same gun, slow fire @ 25 yds. OFFHAND. 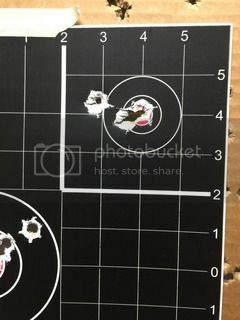 2 & 3/8" 5 shot group with 230 gr Winchester White Box ammo. 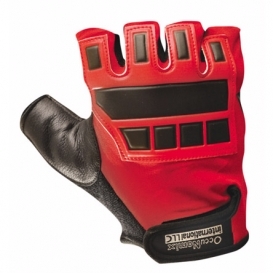 When shooting stout recoiling handguns at the range, I always wear a fingerless shock mitt to protect from carpal tunnel syndrome. It makes for a more pleasant trip. If I ever need to pull my little gun during times of peril, I'll endure the sting. I've fired Teach's AMT Backup, it is a handful all right, but that is what it was made fer.............up close and personal like business encounters. Find a pistol you feel comfortable with and will have confidence in. Good advice to try before you buy if possible. Get one YOU can shoot/handle well, not me or anybody else on here....you being the one to carry it and trust your life with it. 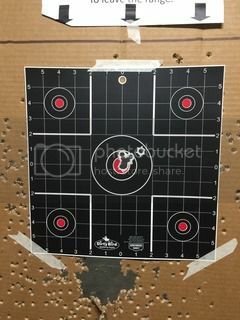 Don't make the mistake of trying to turn a sub-compact into a range/target gun, sure you can practice and should, but for extended range sessions you may wanna consider a full sized model. Laws of physics don't change, but some guns others say are the cat's meow may not be for you and vice versa. Good advice on here, as usual from a variety of perspectives. Make up your own mind, some very good starting points mentioned to narrow down what you may take into consideration. As they say, a hit with a .22 is better than a miss with a .45. That doesn't mean you should start with a .22 for SD (still better than your fists), but just be able to shoot what you carry and hit what you are aiming at at SD distances. We all have different requirements, budgets and levels of devotion we are willing to make for our SD/HD needs. Some will take it to the Nth degree and some will fulfill the basic requirements of getting a CCW Lic# and not much more. There are no magic bullets or guns to fire them from. Good luck in your quest and selection. Hell, just learn to shoot, and then buy whatever you like. Stop trying to compensate for lack of skill or training, by buying some wonder-invention that still requires you to put the bullet onto the target.